Hifei Swordfish Pro 220 amp water cooled esc. 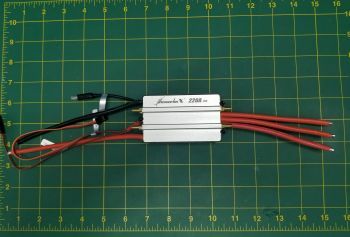 This is a high quality ESC designed specifically for racing boat. Programming can be done with the included program cable (Requires Windows PC). 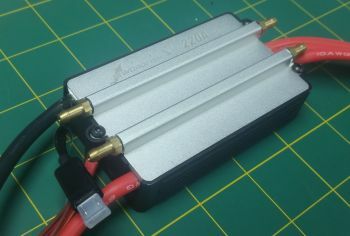 220 Amps, 2s to 6s LiPo Cells. -Built-In Data Logger (record critical parameters: Current/Voltage/Motor RPM/Temperature/Throttle Travel), read by using the included program cable*. -Conformal coating on circuit board for resistance to water. No submersible. Programming method: Using the included program cable or optional HiFei Wifi dongle(Not available at this time).